While constructing Nelson garages, you should be best aware of the soil conditions to construct for the garage according to the esteemed measurement. The thickness of the perimeter will be best if done with a measurement of 12 inches in length by 12 inches in breadth below the ground level. The materials that should be used to get the best reliable result and solid base foundation are concrete, clean- blinded sand, compact ash or sand. The mixture will be the two materials, i.e. clean- blinded sand along with compact sand or ash, and then need to be used for constructing the base. Over this layer, the concrete will be used to make up the foundation in the most durable way possible. The thickness should be about 4 to 5 inches. If you think of strengthening the base to a greater level, then the concretes that have glass reinforcements can be used or you can use 6 mm steel mesh for even better results. Whatever you, the base design and construction suit the soil condition over which it is constructed. Remember, there may be trees also situated near the garage construction base. You need to consider that situation also. The roots of the trees may cause damage to the garage base at a later stage. Therefore, while selecting the area where the garage base will be you need to keep in mind this crucial factor. Next important factor that need to be considered or better to say taken into mind is the letter of approval from the local authority. 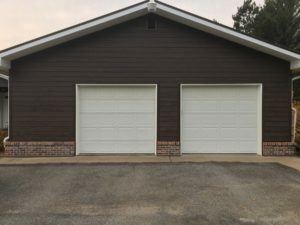 It is the most important thing that need to be done, otherwise the garage building that you will be going to build will be regarded as illegal and some severe legal case may follow up against you and the garage building that haven’t been approved by the local authorities. While constructing the garage base, be sure that you ask your builder or installer to give for damp proof polyphase that will act as a protecting membrane that will prevent the garage ground from getting damp. In addition, you should make the base of the concrete garage level up in the same line with that of the local ground surrounding it. If you level it up, then water may enter inside the garage or may be difficult to drain out from the Nelson garage interiors. Therefore, it is always advisable to have the garage base a bit on the higher level than the normal surrounding ground level. When in doubt, it is always best to call your local Nelson remodeling contractor to work on your home or garage. This ensures the job will be done correctly and by a professional. If you are looking for a Nelson roofing contractor and siding specialist please call 715-432-8202 or complete our online request form.